Dimensions 0 by 7 by 9.19 in. Data Science is booming thanks to R and Python, but Java brings the robustness, convenience, and ability to scale critical to todayâs data science applications. 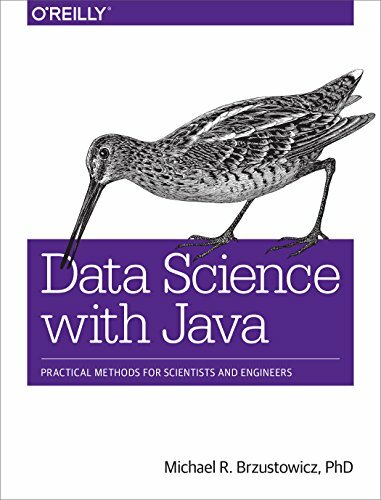 With this practical book, Java software engineers looking to add data science skills will take a logical journey through the data science pipeline. Author Michael Brzustowicz explains the basic math theory behind each step of the data science process, as well as how to apply these concepts with Java. Youâll learn the critical roles that data IO, linear algebra, statistics, data operations, learning and prediction, and Hadoop MapReduce play in the process. Throughout this book, youâll find code examples you can use in your applications. About: Data Science is booming thanks to R and Python, but Java brings the robustness, convenience, and ability to scale critical to today’s data science applications.